An assortment of new DVDs release today and with everything from horror to comedy to stop-motion animation, there’s sure to be something for everyone. One of the most anticipated films out on DVD today is Annabelle. 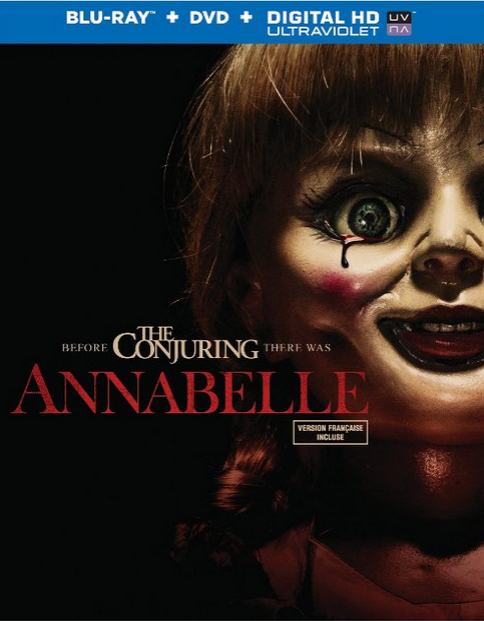 This horror flick is the prequel to The Conjuring and centers around the origins of a possessed doll. Produced by James Wan and directed by John R. Leonetti, Annabelle has become one of the highest-grossing horror movies of all time. If you’re not much of a horror buff, you can pick up the action flick Lucy starring Scarlett Johansson and Morgan Freeman. It’s based on a woman who is kidnapped and forced to work as a drug mule in Taiwan. When the bag of drugs implanted in her abdomen is broken after she’s beaten, they make their way into her system and she becomes telekinetic with rare and enhanced abilities, allowing her to use significantly more than the 10 per cent of the brain the average human uses. Click here to read our review of Lucy. For something for the whole family, grab a copy of The Boxtrolls, a 3D stop-motion animation about trolls who are said to kidnap and kill children. You’re probably wondering, “How is this a family film?” The cardboard-box-wearing Boxtrolls are actually quite the opposite of what they’re perceived to be, and care for an orphaned human boy named Eggs. The Boxtrolls received positive reviews from critics. New on DVD – A Dog’s Way Home, Holmes & Watson and more!